Grand Panama Beach Resort, one of the most elegant vacation rentals in Panama City Beach is located on the Gulf of Mexico, delighting vacationers of all ages and preferences with a glorious blend of natural beauty and luxury amenities. Over 650 feet of beach on the Gulf of Mexico enhances our gated rental resort community, which features two spa pools, a state-of-the-art fitness center, dining, and a full range of services. 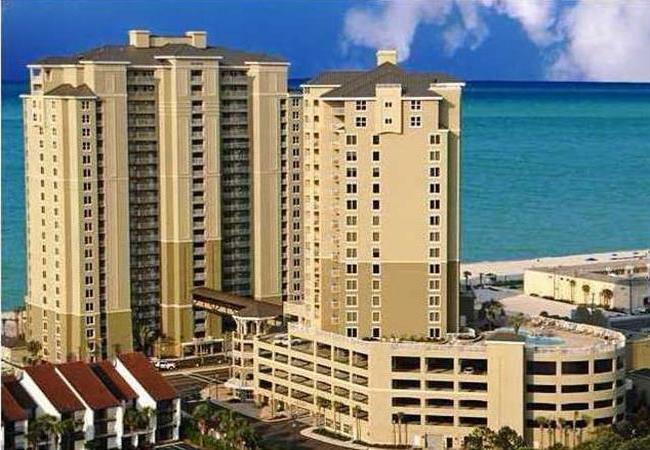 Vacation rentals at Grand Panama Beach Resort, everything you need for living can be found inside your suite, admired from your balcony, and enjoyed right outside your door. This includes an outdoor pool, two spa pools, outdoor grills, nearby shopping, golf, charter boats, local attractions, and so much more. Whether you’re envisioning a spontaneous getaway or a carefully planned vacation, Grand Panama Beach Resort is the perfect spot to make lasting beach memories.